Are Windows Hosting and ASP Hosting the Same Thing? HostPresto! > Blog > Are Windows Hosting and ASP Hosting the Same Thing? Sometimes, getting your head around the concept of hosting can feel like you're trying to learn a brand-new language. There are so many unique terms and phrases that you'll need to get to know when choosing the perfect hosting provider, from Linux, to .ASP and the .NET framework. 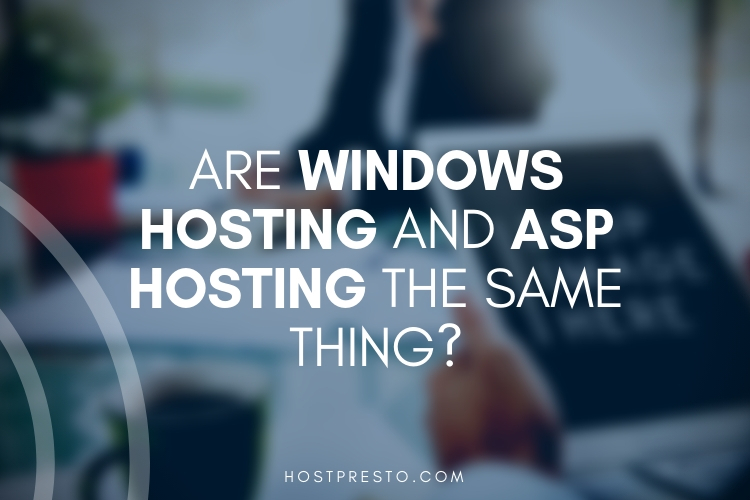 To help you unravel some of the more complex mysteries around hosting, and how you can choose the right host for your online needs, let's take a look at Windows hosting, and how it connects to the concept of "ASP" hosting. A Windows Hosting environment essentially hosts your server on the "Windows" platform. Windows-driven hosting solutions are often recommended for people who are using ASP and .NET scripts, as well as Microsoft Exchange. Importantly, you don't necessarily need a Windows server just because you'll be using a Windows PC to manage your server. Web hosting is a completely separate thing to whatever your setup might be at your office or home. Windows hosting is a popular alternative to "Linux" hosting. 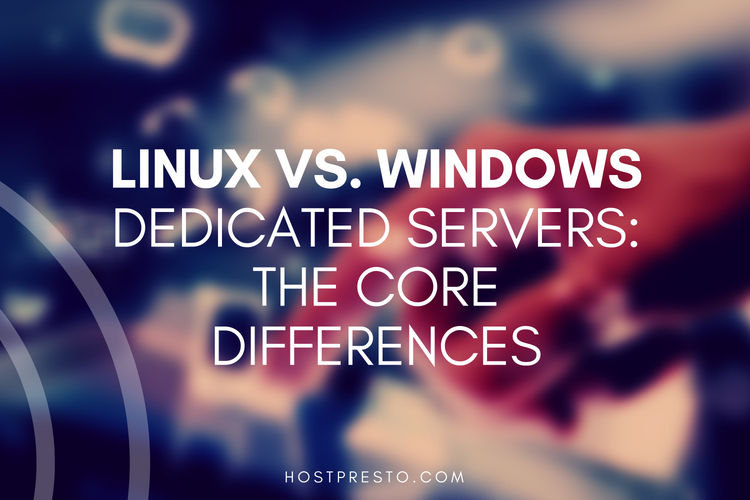 Though both options have their own unique benefits to offer, Windows remains a powerful hosting opportunity for people who are using programming languages and databases that simply aren't supported by Linux. 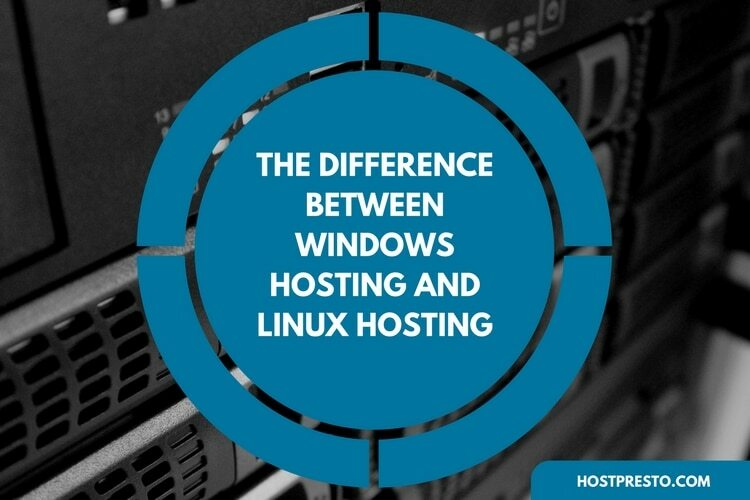 Additionally, many people find that Windows hosting is a lot cheaper than Linux and gives them far more control over the way that they build and manage their server. A Windows hosting provider can allow you to access additional features like "Remote Desktop" if you want to access your server from a distance, and it's great for people who prefer "Plesk" to cPanel as a hosting management service. Now that you know what Windows hosting is, it's time to look at the term "ASP," and how it relates to the hosting world. ASP stands for Active Service Pages. ASP documents are HTML pages that have unique embedded scripts located within them. ASP scripts can be processed on an ASP hosting server before the page is sent to a visitor's browser, which means that you can create more dynamic, database-driven pages. If you plan on using ASP to develop your web application, then you'll need to choose a Windows hosting environment, because ASP solutions only work with Windows. When you type an URL into the address box of a browser, you ask your web server to send a file to your computer. If the file is in a standard HTML format, then the file your browser receives will look just the same on your computer as it did on the web server. Alternatively, if an ASP file is sent to your computer, then the browser will run the HTML code, followed by the ASP code to adjust the experience. To find an ASP host, you'll need to choose a web host that can manage your website on a Windows server. Windows servers are more stable for people who plan on using ASP pages, and most ASP components are specifically designed to work with Windows. You'll also need to consider whether your website uses a database like SQL when choosing a host that's equipped for ASP support. They want to use Visual Basic: You'll also need to choose a Windows Server if you'll be working with Visual Basic. Any products in the Microsoft stack will naturally work better with a Windows Server. You're using MySQL: If you're using an MS access database to launch your website or application, then you'll need a Windows host that has experience working with .NET and ASP pages. ASP.NET generally isn't something that hosting providers often individually. Instead, it's a component of your Windows hosting package. If you want to work with ASP, then you'll need an experienced Windows hosting provider.